To revert the changes use the same command, but replace TRUE with FALSE. 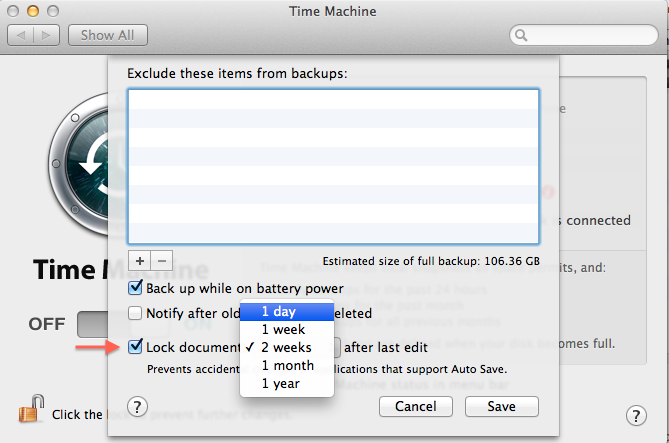 Mac OS X Lion has introduced automatic file locking for files that hasn’t been edited recently. Sometimes you need to extend wireless field; you can do it transforming your Mac as a Wireless Network Bridge. Why your Mac? Maybe a new shining Mac Book Pro? Well, let’s say your city has been hit by a big earthquake, so you had to leave your house, but your wireless network still works. Mobile Network won’t work due to excessive overhead but you can still access internet to contact your friends and family. Sharing your internet connection give this chance also to many other people (this has been happened to me recently). First you need a Switch or a Router or a Wireless Access Point and Ethernet cables. NOTE: this way you can connect to internet while you can maintain a secure distance from damaged buildings.